Our Oakland product liability lawyer believes consumers should be protected from dangerous products in Northern California. We especially applaud efforts by our communities to protect children, a group that is particularly vulnerable to dangerous household goods. The Oakland Tribune reported this week that Richmond is joining several area communities in attempting to protect our children and pets from dangerous rodent poisons. The Richmond City Council approved a measure, similar to those already in place in Albany and San Francisco, asking retailers to voluntarily stop sales of certain pest control products. Similar products have already been banned by the federal Environmental Protection Agency. The ban covers particularly toxic formulas as well as loose pellet poisons. In 2008, EPA officials requested that manufacturers re-tool their products so that the poisonous bait is in stations that are inaccessible to children and household pets. Manufacturers were asked to comply by June 2011 but not all makers have done so and the EPA is taking steps to remove the offending products. This process, however, takes time to accomplish and moves like that in Richmond attempt to control the ongoing problem. The Tribune cites the American Association of Poison Control Centers, noting that between 12,000 and 15,000 cases of children being exposed to rodent poison are reported annually. Unreported cases make the actual number of children impacted significantly higher. The fact that rodent poisons are often placed on the floor makes young children especially vulnerable. Pets also frequently ingest the products, with one group noting that nearly half of all animals test positive for exposure to rodent poisons. There are safer alternatives on the market that can help control pest problems with less risk to children and domestic animals. The EPA’s website provides guidance on safer alternatives. The agency notes that households with young children and animals need to be particularly cautious when selecting a pest control products. Further, the agency mandates approval of bait station formats, limits on the amount of bait permitted in a residential product, and forbids certain active ingredients from being marketed directly to residential customers. 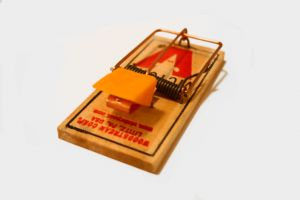 Traps may also be an option for some homeowners and both live and lethal traps are on the market. If, despite exercising precautions, a child is exposed to a rodent poison, immediately call Poison Control or your local hospital for directions. The number for the national poisoning hotline is 1-800-222-1222. Have the product name available when you call and, if possible, the EPA registration number. Additional questions about rodent poisons can also be directed to the National Pesticide Information Center at at 1-800-858-7378. As an Oakland dangerous product law firm, The Brod Firm recognizes that certain products are inherently dangerous. The law does, however, provide recourse if a product poses unnecessary dangers. If your child has suffered harm due to a dangerous product in Oakland, please contact our team to discuss whether a legal remedy may be appropriate in your unique circumstances.